This exhibit has ended and has been replaced by the "Evolution of Weapons and World Humanity Exhibition" which will be on from now until 20 Feb 2015. Go to National Museum for the latest update. 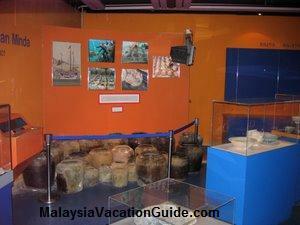 Malaysian Maritime Archaeology Exhibition centre was opened to the public since November 15, 2001. 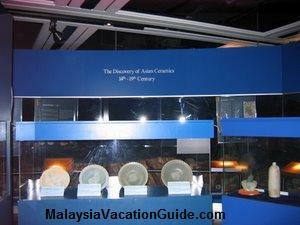 The exhibition featured artifacts from 11 historical shipwrecks that were excavated from the Straits of Malacca at the west coast of Peninsular Malaysia and the South China Sea at the east coast of Peninsular Malaysia. 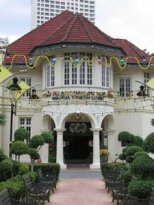 The findings of the artifacts showed the proof that the "old Malaya" was once a thriving centre for far east trading during the time of Malacca Sultanate. 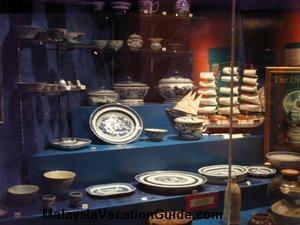 Many of the ships were trading goods from China, India, Thailand, Laos, Malacca and the Middle East carrying items such as cannons, coins, jars, plates, bowls, cups and other potteries before they sunk. The ceramic plates, bowls and other items on display here. One of the major exhibit is "Discovering Asia's Ceramic Development" where artifacts from seven shipwrecks spanning 500 years investigated by Sten Sjostrand were shown. The 7 shipwrecks were found at the South China Sea with estimated date of the ship sunk ranging from 1370 to 1845. The names of the ships found are Turiang, Nanyang, Longguan, Royal Nanhai, Xuande, Singtai and Desaru. The entrance fee is to the exhibit is RM2 for adult and RM1 for children. It is opened daily from 9:00am to 6:00pm. It is closed during Hari Raya Puasa and Hari Raya Haji celebration. 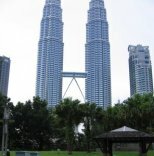 Take the PUTRA LRT, KL Monorail or KTM Komuter train and stop at KL Sentral Station. 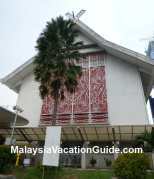 Walk towards the National Museum or Muzium Negara. This museum is located just beside the National Museum. If you are driving, you can park your car at the compound of the National Museum. Plan to spend 2-3 hours at the main museum and 1 hour here. The discovery of Asian Ceramics dated from 14th to 19th century. Further write up about the exhibition can be found from Maritime Asia website.